Michael said “Do you believe in friendship”? What a great question in a business relationship. 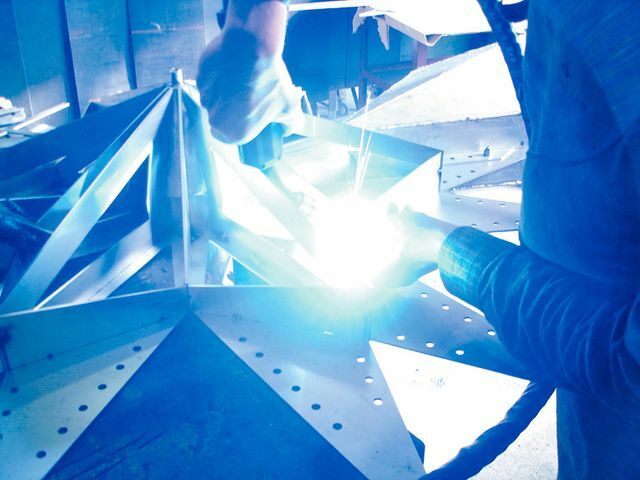 This was the opening to our discussions during the most critical time of building the Swarovski Star for Rockefeller Center. In a project with extremely tight timelines, there was much left to do at this point to deliver this spectacular project. 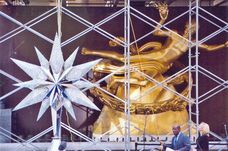 We needed to be very close, indeed, to build the teams that could deliver the magical Swarovski Star, and would also go on to build amazing art projects for the Top of the Rock Observation Experience at Rockefeller Center. Michael and I have developed a relationship over the last 5 years that not only allowed us to create amazing projects and amazing art, but also to develop a friendship where we share many common thoughts and beliefs about life as well. 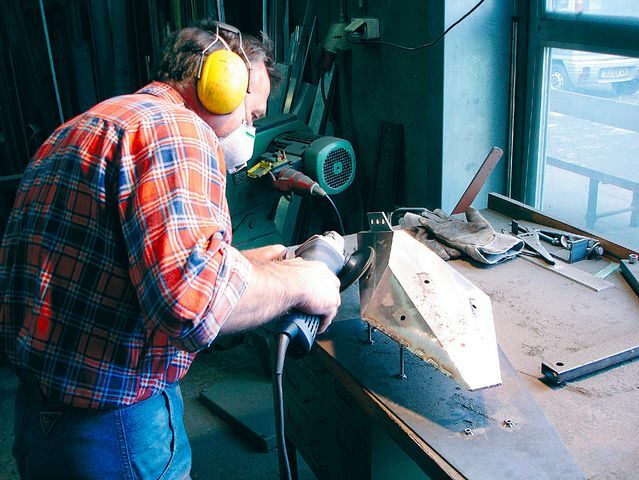 Michael has a remarkable talent for both creating spectacular art and the logistics of coordinating every aspect of the projects that showcase this art. And Michael takes full advantage of his gifts. Thank you my friend for sharing your gifts with the Brown family. until 2006 VEO, Swarovski North America Ltd.
April always is “Salone” season in Milan when all the design gurus and their aficionados make their appearance. Needless to say: That season is nothing if not inspiring! It is phenomonial! 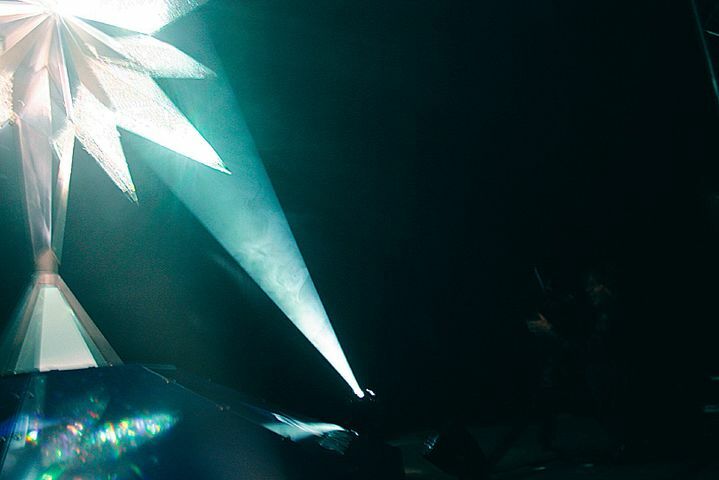 In 2005 Nadja Swarovski opened her fourth Crystal Palace exhibition and Michael Hammers’ crew finalized their “Voyage by Yves Béhar” right on time. Coincidentally standing next to each other at the bar, Nadja introduced Michael Hammers and Ingo Maurer to each other. 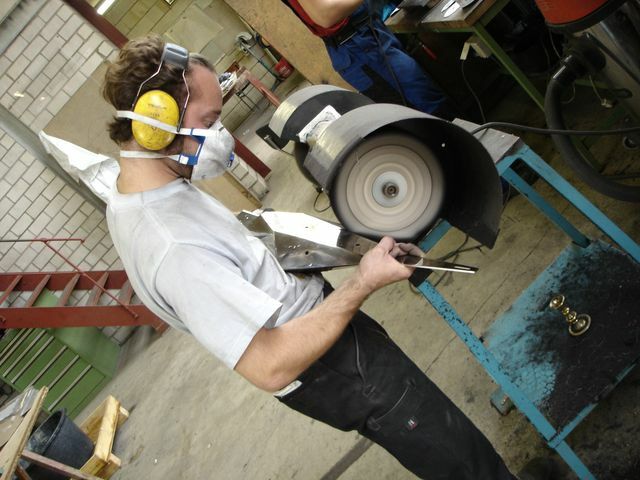 The next day Ingo gave Michael a call asking for some help on one of his projects and Michael felt honoured at being asked and being able to assist Ingo Maurer just a little bit. Lo and behold: 7 months later “that Star at Rock Center” had gotten an additional inside LED-lighting and “that snowflake on 5th” showed up anew and quite good bit larger. “The Swarovski Star – Rockefeller Center” – As this idea was born in 2004 and Michael Hammers was asked to think about its realisation, these words alone were all that was needed to evoke the vision of a glittering, sparkling and unique crystal star: “All over the world the name of Swarovski stands for the unique brilliance of crystal just as the Rockefeller Center’s name stands for a place that is unique“, says Michael. 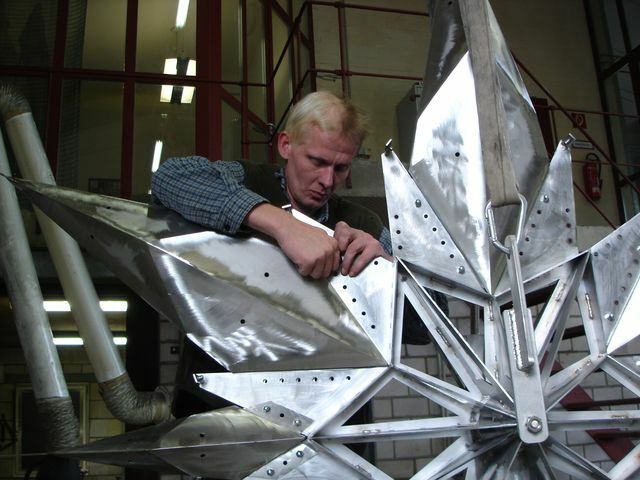 Starting in 2004 and topping the Tree for five seasons ‘The Swarovski Star’ has become part of the magic of the Rockefeller Christmas Tree. “Whenever something like this happens, everyone involved can proudly feel part of it,” Michael Hammers says and adds “You can’t plan or predict it and should never force it to happen”. The Swarovski Star was born to rest at a particular place, topping the world’s most famous Christmas Tree. Michael’s artistic vision and concept for this very special Star arose quite naturally from here: Many thousands of crystals are like the ice molecules which make a comet visible to the human eye and soul. 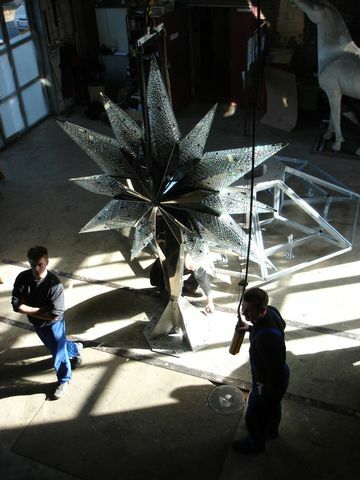 The Swarovski Star became the expression and symbol of light, something that brings light into the world, the symbol of the wish for peace for all mankind. 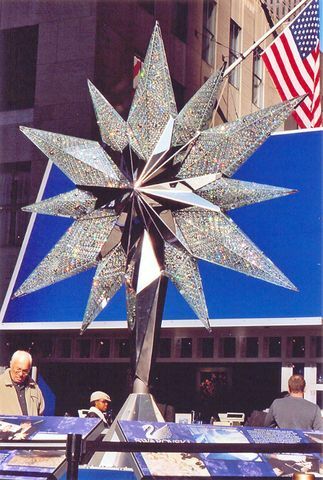 The Swarovski Star crowned the Tree at its 75th anniversary in 2007. In 2007 and 2008 its one to one replica was displayed on Saks’ ground floor. In 2008 and for that time being it had its final season at Rock Plaza. 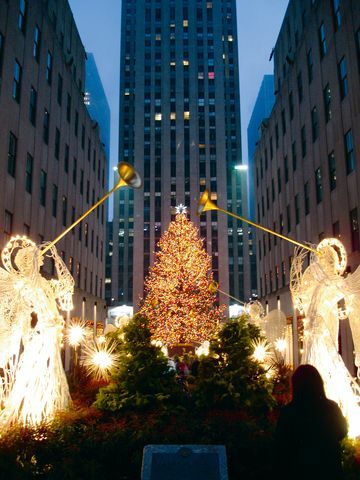 “No matter what your faith or religious belief, the tree, the Channel Gardens, the ice skating rink, the Radio City Music Hall Christmas Spectacular…plus the windows at Saks always produce feelings of warmth and love. 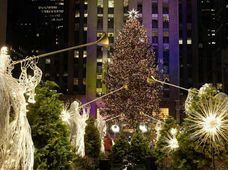 There is no other Christmas tree in the world like the one in the heart of New York, a city known for its magic” wrote Willard Scott in the preface to the book 'The Christmas Tree at Rockefeller Center’ by Carla Torsilieri D’Agostino and Byron Keith Byrd. Might we dare to add “plus the Swarovski Star”? Let’s wait and see what happens in 2009!